Crunchy hazelnuts and tart cocoa cream between two crispy wafers. Not too sweet, nor too bitter – Just, perfect. Taste the Wafy rolls of Pickwick that comes with the pungent flavour of Vanilla. Get to taste the best rounding rolls with the light and crispy bites including the Vanilla flavoured cream. Pickwick is a leading manufactures and suppliers of an elaborate range of delicious and hygienically packed Cream Wafer Biscuits and Wafer Rolls that are sure to tantalize anyone's taste buds. Loacker Wafer Filled Cremkakao Crispy with Cocoa and Chocolate Cream. Extending the range of fruit flavours, Gone Mad introduce Choco Orange that combines the tangy taste of orange juiced with silky chocolate to give you a taste that you have never experienced before! Delfi Twister Black Cocoa Wafer Roll With Milk Vanilla Cream. Delfi Twister Chocolate Wafer Roll With Milk Vanilla Cream. Delfi Twister Chocolate Wafer Roll With Strawberry Cream Cream. Orange flavored wafers which makes a great snack. It\'s a great side to be served with your tea and coffee. Chocolate flavored wafers which makes a great snack. It\'s a great side to be served with your tea and coffee. Discover the best chocolaty flavour found within the Pickwick Wafer Rolls. Get to taste the best rounding rolls with the light and crispy bites including the Chocolate flavoured cream. Pickwick is a leading manufactures and suppliers of an elaborate range of delicious and hygienically packed Cream Wafer Biscuits and Wafer Rolls that are sure to tantalize anyone's taste buds. Kokola Majorico Winding Core Chocolate Wafer Sticks. Kokola Majorico Vanilla can cola winding core Wafer Sticks. Choco Stick is the product of every child’s fantasy! A crispy water roll encapturing a river of Gooey chocolate waiting To burst out from the very First bite. Available in two mouth watering flavours! Buy Wafer Chocolates Online at Foodzu and get attractive discount on each purchase. A wafer is crisp, very thin, flat, sweet, often used to decorate frozen dessert, and also used as a garnish on some sweet dishes. A combination of the finest chocolate and crisp wafers makes an ideal tempting wafer chocolates. Crispy chocolate wafers are the good companion for an afternoon cup of coffee or tea. A wide array of wafer chocolates produced globally and the foodzu online stores give you the chance to choose your favorite wafer chocolate at cost effective prices. There is nothing more sweet, or delicious than the chocolate. As a result of the wonderful properties found in cocoa has been established to produce a positive impact on our body and brain. Selecting the premium quality wafer chocolates isn't an easy task. The Foodzu online chocolate stores in India understand this challenge and hence serve you with a good range of wafer chocolates at cost effective price. Shop high quality of wafer chocolates on Foodzu online grocery store Bangalore and get the product delivered right to your doorstep. 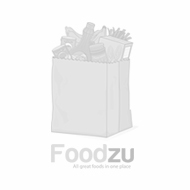 Enjoy the easy and relaxed way of online grocery shopping in Bangalore from top brands at less than MRP at Foodzu.